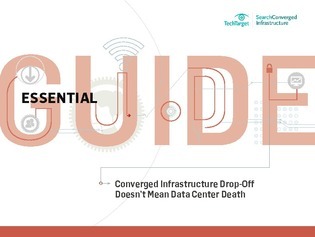 Converged infrastructure has slipped out of favor among many data centers, as they embrace cloud computing and hyper-converged infrastructure (which regularly win converts because they are easy to buy, provision, and operate). Nevertheless, some IT pros say it's still a good choice for their most important business applications. In short: the sagging adoption doesn't foretell the death of CI. Read on here to discover why many enterprises still select CI as a more stable and agile operating environment, and to consolidate assets acquired through acquisitions, as told by our searchConvergedInfrastructure.com experts in this guide.